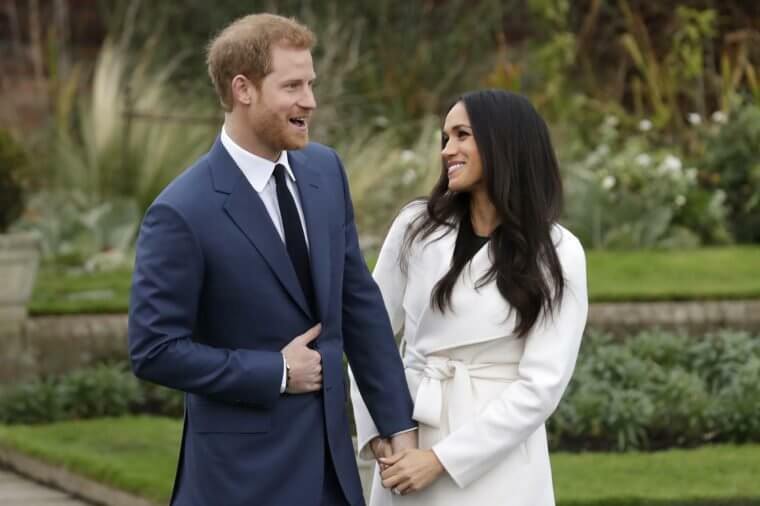 By now the upcoming wedding between Prince Harry and Meghan Markle is much talked about in global entertainment circles, especially in Hollywood! The event will be attended by hundreds of the rich and famous in England and around the world. Additionally, the wedding will be broadcast into the living rooms of the masses around the world, making it a truly global affair. Because they are royalty, they want to celebrate every aspect of their wedding in style and will be throwing a bridal party which will be ‘the party of the century’ for this reason. Meghan and Prince Harry plan on having a royal wedding bash complete with ten cute bridesmaids and page boys on the big day! The royal grandchildren: Prince George and Princess Charlotte will be attending the big event. Markle and Prince Harry plan on having a lavish flower and cake arrangement for the big party. They plan on adorning the party hall with many beautiful pink and white flowers. The flowers are artificial and will hang on branches in vases to make the party feel as though it was being held in a field full of beautiful flowers. The flowers include replicas of the species blooming naturally in England in May, including beech, birch, hornbeam, white garden roses, peonies, and foxgloves. Markle and Prince Harry’s wedding cake is being designed by Claire Ptak of London based Violet bakery. Markle and Prince Harry are commissioning an elegant lemon elderberry cake to be made for this royal event. The cake will be made out of Sicilian lemons, which are of superior quality. The cake will be covered in beautiful white buttercream frosting, and be decorated with pretty fresh flowers to reflect the youth and beauty of springtime. The cake will be the centerpiece of the party and will be accompanied by seasonal fruit and canapes made from the gardens of Queen Elizabeth II’s vast estates. Markle and Prince Harry will arrive at the party after riding through Windsor Castle in a fancy and lavish horse-driven buggy. It will ensure that Markle and the Prince can converse with the majority of the guests. The food arrangements at the royal party will be divine because all of the chefs preparing the food have excellent training under some of the world’s best culinary masters. Many young kids will make their presence at the grand party. Markle and Prince Harry are fond of young children and have invited all of their godkids and the kids of their friends to the spectacular event. The kids of many politicians, prime ministers, and other state dignitaries will also be present. In all, the event, which takes place in three days will adorn global headlines for months to come with its splendor and pomp! The Royals are known for spending lavishly on entertainment, and entertaining in style, and the royal party is particular not to disappoint in either way!